Action Mobile Homes has the most useful Mobile Home website in the area, with advanced search technologies that allow you to view listings in the Inland Empire (San Bernardino & Riverside counties), parts of Los Angeles and Orange counties to ensure your own home is sold in reasonable time and for top dollar. You'll also find our web site to be a one-stop resource for your online Mobile Home research. We're eager to tell you what we know about the local market for Mobile Homes or Manufactured Homes, including New Homes or whatever is most interesting at the moment in the industry. We delight in helping people succeed in this market, and when our clients come out of the transaction breathing that big sigh of relief, we're just as satisfied as they are. Our team is dedicated to putting our 24 years experience and local knowledge to work for you in all steps of your Manufactured Home transaction, from start to finish. Find out why Action Mobile homes is one of the most respected teams for buying and selling in Southern California. Disclaimer: All information is believed to be accurate but not guaranteed and should be independently verified. Some properties are subject to prior sale, change or trade. Yes, they are a sound investment for people moving to the life of retirement. Social Security helps to finance many Manufactured Home purchases. Pensions also are used to set people up for a comfortable retirement. 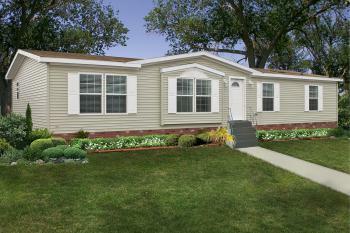 Manufactured homes are a great housing opportunity! They can be purchased at a reasonable price and are usually built to the same high standards as conventional constructed homes.